100% mobile friendly design implemented. Not just make it mobile friendly. We build it based on mobile first concept. 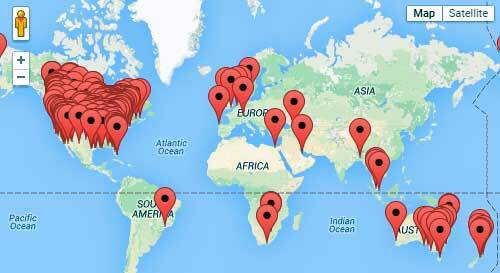 Our Free InOut Board apps is working perfectly on your smartphone, including Android and iPhone system. Traditional web In/Out board, also known as "online status board", "hosted status board", and "on-demand status board", is not displayed correctly on smartphone. Hard to read, hard to touch the button is very commom problems for them. 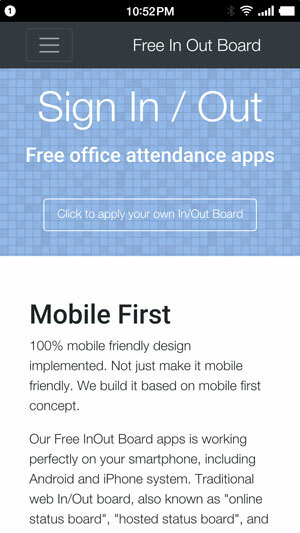 Free InOut Board is the first in-out board optimized on smartphone. 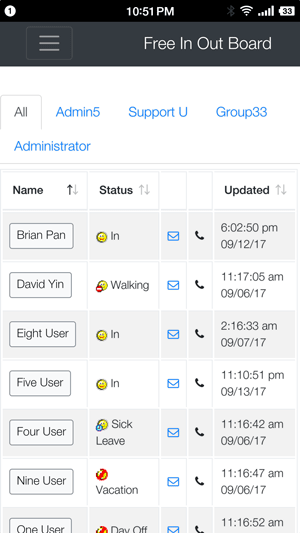 The Free InOut Board application makes it easy to immediately know where your employees are at any given time throughout the day. 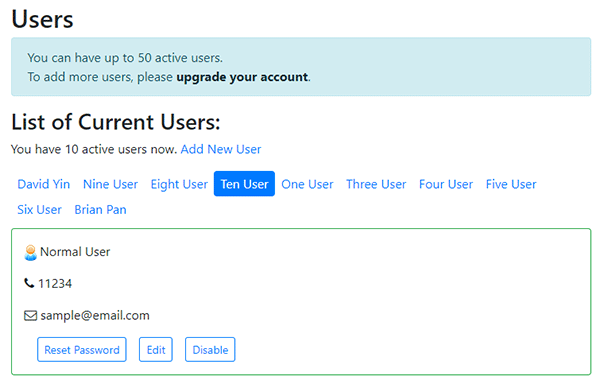 Users can update their status quickly, and locate co-workers with the advanced search feature. 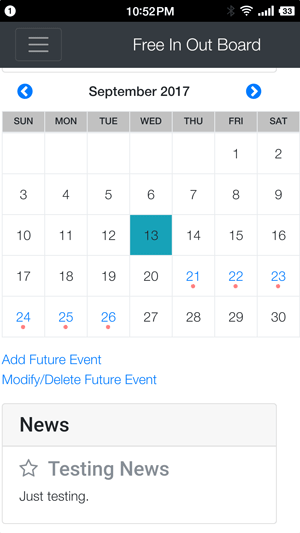 Users' status can be update automatically if they set up the future event in advance. Visitor view provides a consolidated at-a-glance listing of all employees and their status. 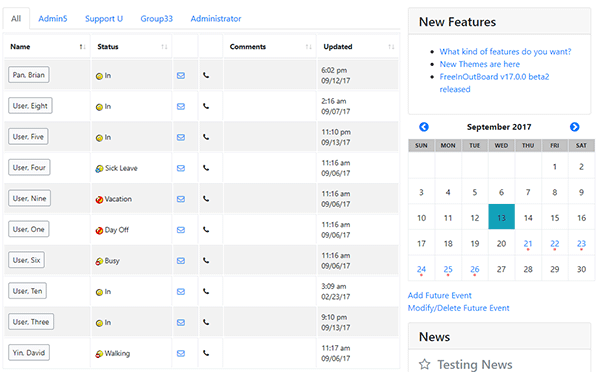 Management delegation is simple and worry-free, providing employee supervisors and managers the ability to track and manage their departments or teams. 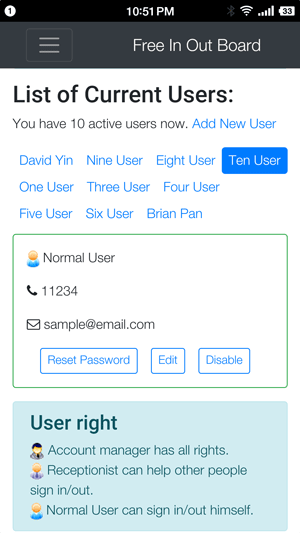 The Free InOut Board is a common, shared system for employee whereabouts enabling users to view, update their status with one button and to share up-to-the-minute information and activities via this site.